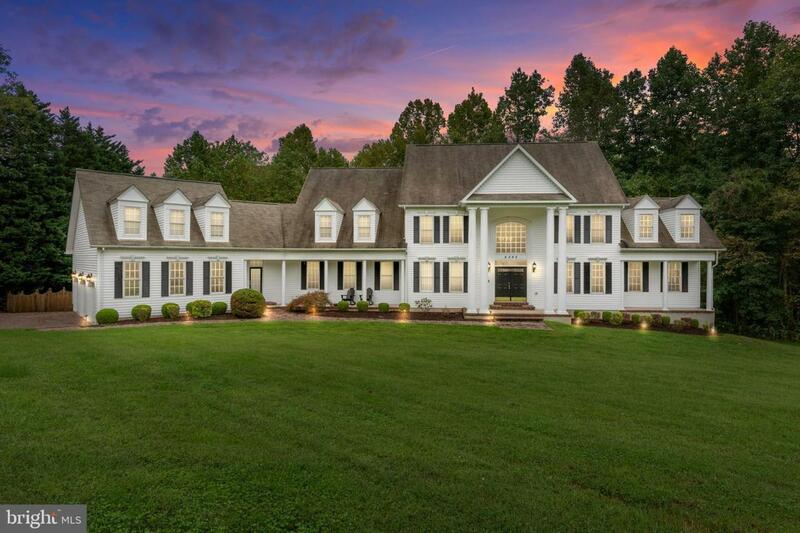 Incredible opportunity to own this beautiful home nestled on over 5 wooded acres. The home features a 2 story foyer with a curved staircase that is flanked by your formal living room on one side and columns line the formal dining room on the other. 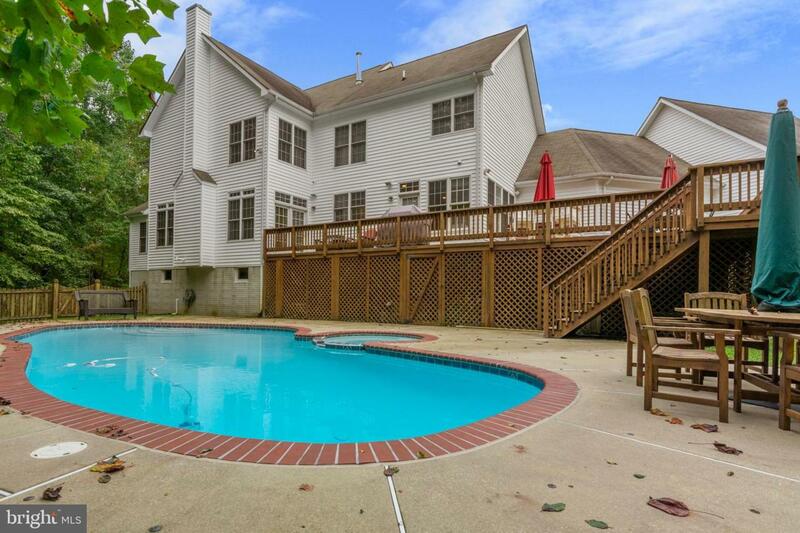 The home has 5 bedrooms, 6 full baths, (Every bedroom has its own full bath and a full bath in the finished basement), Au Pair or In-law bedroom on the main level. The step down living room overlooking the pool has a gas fireplace. The kitchen is a Chef's dream, with a large center island, dual wall ovens, deep sinks, plenty of cabinets and a huge walk in pantry. On the South side of the house you'll find the study with ample natural lighting, and the sunroom/gaming room has vaulted ceilings and another gas fireplace. 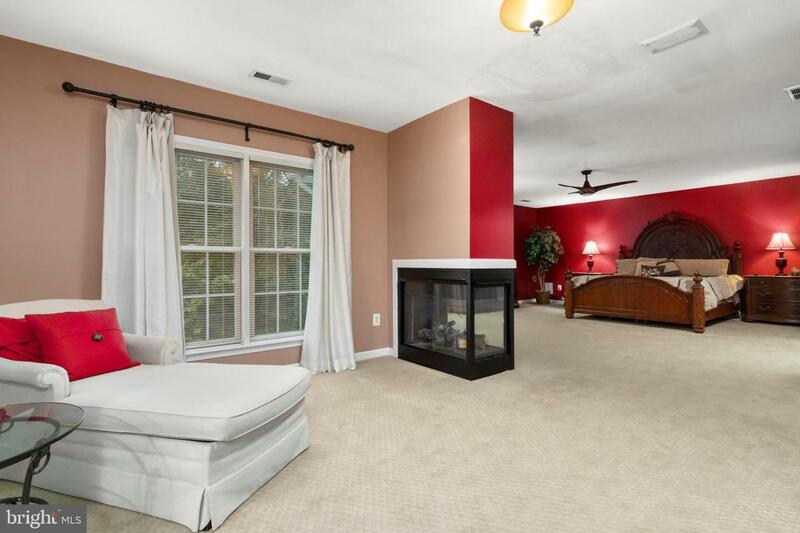 Owners suite features french doors, a 3 sided gas fireplace, separate sitting area, and the walk-in closet is lined with California style closet organization systems. Large family room over the 3 car garage in the North wing of the house is great for getting away from the commotion in the rest of the house. The basement has a media room, a full bath, a music room with sound damping foam for all those aspiring musicians, and 3 other rooms (currently used as office space) plus plenty of unfinished space for storage or future development. HEATED IN-GROUND POOL/SPA COMBO. Call the official listing Broker for your private tour today.